greeNEWit is made up of people who are dedicated to help make energy efficiency convenient as you walk toward the smart grid and make our planet a healthier place. Our team sets out for an adventure every day to positively change the way our community interacts with their energy. We embrace diversity, social entrepreneurship, innovation and achievement. We envision a better tomorrow brought forth by today's effort. Get to know the people who make our energy efficiency services work for you. By providing retrofit solutions, we're helping green the energy industry as our society increases it's energy demand. As an organization founded to help society become energy efficient, we help build sustainable communities and better economies through conserving the use of natural resources. This includes providing energy and water saving upgrades that reduce electric bills and the carbon footprint. Ever wonder, what is energy? Through collaboration, we aim to inspire positive action and change the way we use, produce and think about our energy. Our mission is to promote sustainability, reduce energy consumption, eliminate waste and reform our relationship with the environment by providing comprehensive energy solutions. We recognize the importance of sustainability and doing what you can to minimize the impact we have on our surroundings. Insightful, driven and passionate—Jason Jannati is a devoted brand strategist and leader in energy efficiency. As a founding member of the Howard County Business Council, he plays a key role in fostering the development of important relationships within the energy efficiency industry. As co-founder and chief communication officer of greeNEWit, Jannati is responsible for defining the high-level strategic direction of marketing and affiliate partner initiatives. He has helped greeNEWit reach revenue goals by communicating concept-to-reality ideas that bring brand awareness and sales to new heights. Jannati helped greeNEWit grow from a startup with 0% credit cards to a multi-million dollar enterprise with a culture that thrives on solving challenges. Recognized by the Baltimore District’s SBA office as the top young entrepreneur of 2011, Jannati is devoted to developing social programs that have an environmental focus. Some of his endeavors include co-creating the first solar powered music festival in 2008 and co-starting the OUR Schools Program and Agents of Change division within greeNEWit. Josh Notes has ten years of team leading entrepreneurial experience. Devoted to achieving true sustainability in regards to the way we use and produce energy, Notes helps businesses and homeowners walk toward a more sustainable smart grid system. He understands the essential elements of owning and operating a business, and has co-founded greeNEWit and the gREATESST software platform. As a founding member of the Mid-Atlantic Chapter of Efficiency First, Notes is a national contributor to the home performance workforce best practices committee. Featured in the October 2009 issue of Entrepreneur Magazine, Notes is also the visionary behind several social programs. One of his many endeavors include establishing the Baltimore franchise of AArrow Advertising in 2009. Beyond his entrepreneurial vision, Notes acts as an adviser, team leader and as a business strategist. He has mentored 100 young entrepreneurs through AArrow Advertising and has delivered keynote presentations to more than one thousand school children between the ages of 5 to 18 about the importance of living a sustainable life through greeNEWit. Matej Harangozo is an experienced entrepreneur, innovative technologist and leading web/software systems visionary. For the past four years, he has been a driver of innovation and strategy while being instrumental in the development of the cutting edge platform and automation protocols for greeNEWit. He stays abreast of the trends in the energy efficiency sector to deliver quality technical solutions. Harangozo sits on the Home Performance Data Standard XML Board and Howard County Tech Council. His expertise includes directing multiple development teams, systems integration, and managing all technical components within his business endeavors. Recently recognized at the White House for his contributions to the nation’s economy and entrepreneurship, Harangozo makes it a point to serve the community as an active volunteer for the philanthropic mission of greeNEWit and other projects. He is a noted expert and frequent speaker on technology and innovation. Brad Eisenberg is a process improvement expert wired to build efficient systems and grow companies utilizing lean development principles. Throughout his time with greeNEWit, Brad has used these skills to drastically increase operational efficiency, ensure quality results for customers, and create a culture of data driven decision making. 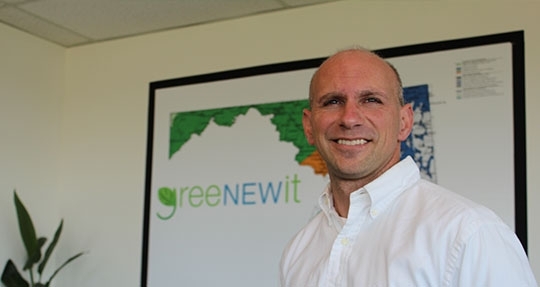 As greeNEWit’s Chief Operating Officer, Brad oversees day to day operations of the company. His primary focus is keeping greeNEWit’s business lines and support departments running as efficiently as possible by breaking down impediments, continually improving systems, and supporting team members. Brad’s systems thinking approach has led to increased transparency and reporting on all facets of greeNEWit’s performance, allowing key performance metrics to drive company decisions. Brad has also led the company in implementing lean methodologies in the development of new products, opportunities, and ideas by focusing on experimentation and validated learning. An entrepreneur himself, Brad founded the nation’s first stationless bike sharing system before starting with greeNEWit where he gained first hand experience running every aspect of a company from product development to accounting to legal to marketing. 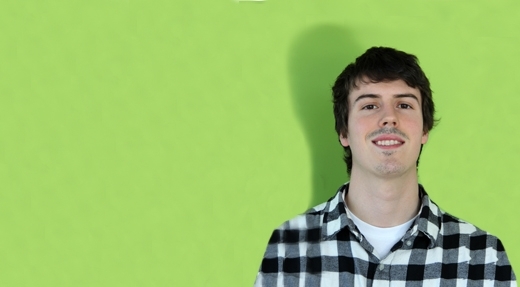 Brad started with greeNEWit in 2009 and has served many roles as greeNEWit has grown. In addition to leading the company’s operations and development, Brad also assists with employee and client training, including the Energy Adviser training program that he developed and delivers to utility companies across the nation. Past roles have included residential energy auditor, multifamily energy retrofit crew lead, field operations manager, technical operations manager, software development manager, and Director of Development. Nicola Tran is the director of commercial energy solutions for greeNEWit. She develops and implements protocols for operating procedures, trains new employees and manages internal teams for all residential programs. Hired in January of 2009 as the first employee of the company, Tran started out performing energy audits for residential homes in Maryland. To date she has conducted more than one thousand energy audits. She earned a master of arts degree in sociology from Friedrich-Schiller-University of Jena in Germany. Fluent in German, English and Spanish, Tran was the coordinator for an environmental education project in Ecuador from 2003 to 2005. During this time, she examined social and environmental conditions in four suburban communities in Ecuador through interviews and observation. She then created a sustainable development plan and recruited and directed teams of students from six elementary schools to help reach the project goals of: reducing consumption, eliminating waste and achieving sustainability. In addition, she taught environmental education to more than 200 children and compiled a 40-page report in Spanish on the study and its results. In August of 2010, she gave birth to the first greeNEWit baby - Milo and has sinced welcomed a second son Felix. Beyond her desire to make the world a healthier and safer place, Tran enjoys interior design, photography and outdoor sports. 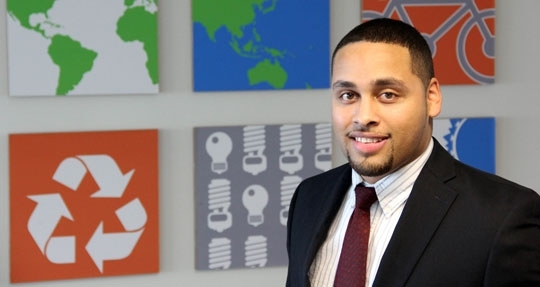 As director of multi-family energy solutions at greeNEWit, Michael Santiago, a BPI Building Analyst, is responsible for providing high-level strategic direction and implementing innovative solutions for the multi-family housing industry. He has experience in energy efficiency initiatives, project management, contract negotiation, multi-family property evaluation, operational troubleshooting and asset acquisition, tracking and maintenance. At greeNEWit, Santiago has implemented and documented energy audits and retrofits for over 30,000 multi-family units, 85,000 components and more than $2.3M in revenue. He oversees implementation, client relations and contract negotiation for those projects. A visionary in the energy efficiency industry—Santiago is committed to identifying, optimizing and executing green initiatives with a focus on imparting the convenience of energy efficiency. He hopes to eventually support all business lines within greeNEWit and maximize their operational output. He aspires to expand greeNEWit’s operational capacity and use his background in management to apply to a career in IT and development. Santiago is currently pursuing a bachelor of science degree in computer science at the University of Maryland, Baltimore County. David Pearman is the Residential Operations Manager at greeNEWit. He recently relocated back to his hometown of Columbia, Maryland after living in Wilmington, North Carolina. Pearman, a certified BPI Building Analyst, was a pioneer in the Quick Home Energy Check-up Program; starting his employment with greeNEWit in 2011 as one of the first crew members who traveled to various multi-family properties across Maryland and installed energy conserving measures in each individual unit. In 2012, he was promoted to field operations and now serves as a leader for our single-family and multi-family energy retrofit teams. 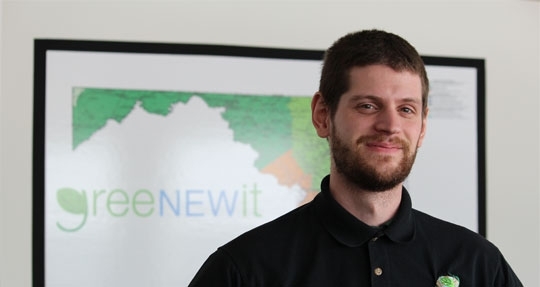 He says the best part about working at greeNEWit is the feeling of family amongst the staff, and the most rewarding part of the job is being able to help local residents save energy, money, and lower their environmental impact on the world. A true entrepreneur, Pearman is also co-founder of HRB Movement, a conscious-wear company striving to promote positive concepts and inspire social change throughout the world. He has a passion for roots reggae music and enjoys traveling internationally to experience other cultures. Pearman earned a bachelor of science degree in geography from the University of Maryland in 2011, and also is a current audio engineer student at Omega Studios in Rockville, MD. 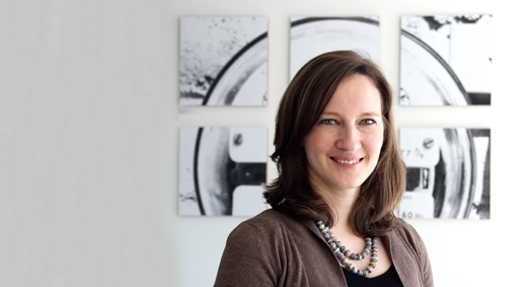 Julie Roby is the Director of Residential Energy Solutions at greeNEWit. In this role, she allocates resources for the most productive use in order to create maximum value and return for the company. She manages the implementation of greeNEWit’s residential energy solutions that include the Single Family and Multifamily Quick Home Energy Check-up Programs and Home Performance with ENERGY STAR® Energy Audits. In addition, she oversees the customer service aspect of the business. Recently, she was the keynote speaker at the 2013 Women in Green Forum at the United States Green Building Council speaking on how sustainability drives entrepreneurship. In addition, she was recently interviewed about home energy audits on the Montgomery Municipal Cable TV's Municipal Notebook Show. Prior to joining greeNEWit in 2012, Roby worked for AmeriCorps as a national service team member. Many of her projects, including donations management in the aftermath of the Joplin, Missouri tornado, involved direct disaster relief. However, she also assisted with the company sustainability efforts in Colorado that focused on connecting homeowners with affordable energy audits. A graduate from University of Maryland, she holds a bachelor of science degree in international business and minor in agricultural resource economics and policy. Her expertise areas include international development, resource management, small business development and residential energy efficiency practices. 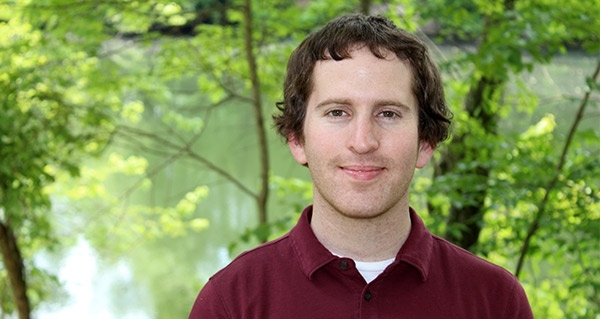 Mark Denz has been a single family energy retrofit analyst for greeNEWit since January of 2013. He is certified as a building analyst by the Building Performance Institute (BPI). He helps single family homeowners and renters in Maryland save money on utility bills by performing comprehensive energy audits and making recommendations for improving health, safety, efficiency, and indoor comfort. Denz has been trained, tested and certified to BPI’s nationally recognized standards and uses the house-as-a-system approach to improving the performance of existing homes – an approach proven to reduce homeowner annual utility bills by as much as 20 percent or more. 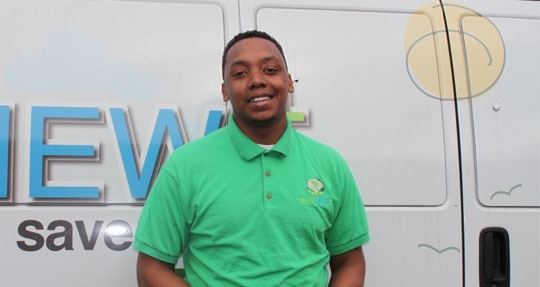 Hired by greeNEWit in the spring of 2012, Denz came on board as energy retrofit technician for the Multi-Family Quick Home Energy Check-up program. In that role, he quickly excelled in the areas of customer service and teamwork and was promoted to energy retrofit analyst and team lead where he led a team of four people and helped increase the overall knowledge of home energy dynamics, building codes and operational standards. Denz is currently pursuing an engineering degree from the University of Maryland, Baltimore County. 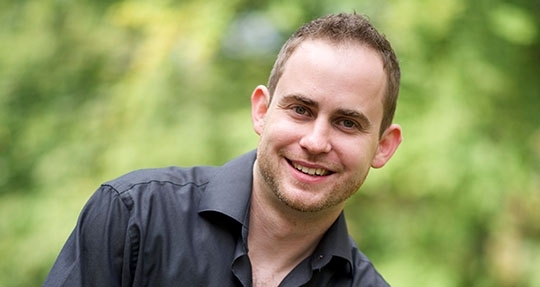 Seth Fawcett is a Home Performance Energy Auditor for greeNEWit. In this job, he performs comprehensive energy audits and directly installs energy conservation measures in single family homes in Maryland. Completing an average of 5 in-home appointments per week, Fawcett has found it personally rewarding to help customers save money and show them how to make behavior changes that will positively impact the environment. He is a certified a BPI building analyst. Like his last name Fawcett implies—he has become extremely knowledge on the products he works with daily such as faucet aerators, showerheads, efficient lighting, smart strips, water heater tank wrap and more. Prior to joining greeNEWit in February of 2013, Fawcett worked as a surveyor for an engineering company. 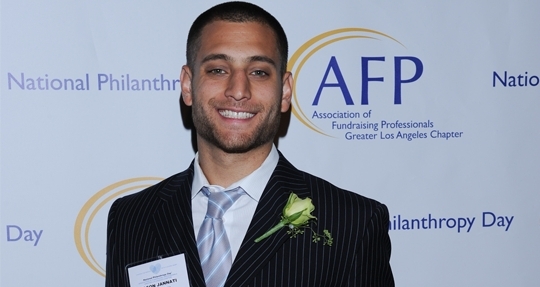 He graduated from Arizona State University in 2012 with a degree in English. 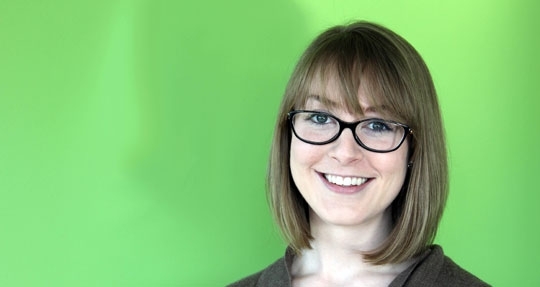 Jordan Johnson, a BPI Building Analyst, has been working with greeNEWit since 2012. 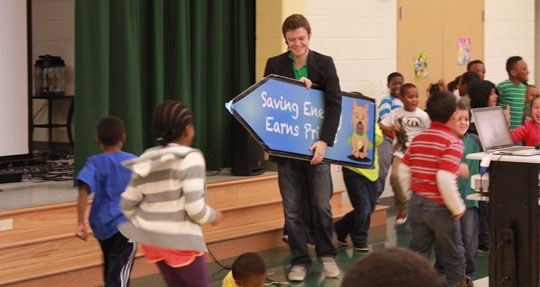 He started out as a crew member assisting with the direct installation of energy saving products in the residences of multi-family properties as part of the Multi-Family Quick Home Energy Check-up Program in Maryland. He excelled in that role and was quickly promoted to assistant crew lead. He now serves as an energy retrofit analyst where his duties include making sure the installation process with customers goes smoothly, coordinating operational logistics, and delivering guidance to his crew. Jordan also provides Quick Home Energy Check-ups to customers in single family housing as well. 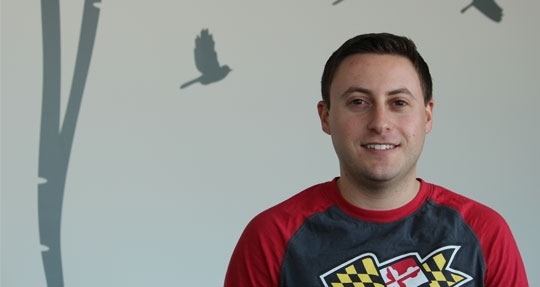 Born and raised in Columbia, Maryland, Johnson would one day like to start his own sporting goods business. His biggest strengths are being an innovative leader, great listener and coordinating team building activities. Johnson briefly attended Eastern Nazarene College where he played basketball. He recently welcomed a son named Cree on Christmas Eve of 2013. Matt Evans, of Staten Island, New York, first came in contact with greeNEWit while working as a sign spinner for AArrow Advertising. The three co-founders of greeNEWit, also own the Baltimore franchise of the international advertising chain and the entrepreneurial connection was evident. 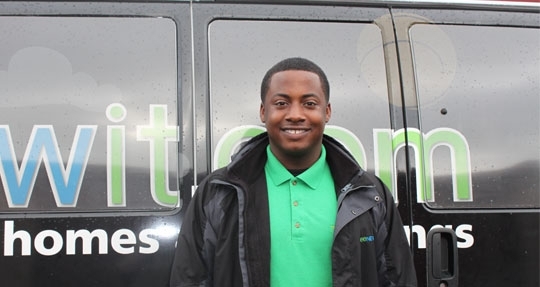 Evans soon started working as a crew member for greeNEWit, performing retrofits through the Multi-Family Quick Home Energy Check-ups Program. He has been working with greeNEWit for three years now and has helped the company deliver energy savings to more than 40,000 residential customers. An effective communicator, Evans would one day like to complete his degree from the Lincoln Technical Institute and start his own LLC business. When he’s not working, he likes attending car shows, sporting events and trying new restaurants. Jay Ningen is a BPI Building Analyst in both the multi- and single family divisions at greeNEWit. A poised and competent team builder, he’s a natural leader who thrives in fast-paced environments, adept in data gathering, modelling, and forecasting. Jay’s excellent interpersonal skills facilitate work with diverse groups to meet overarching goals and objectives. His broad-based talent draws on past experiences in the public strategy, financial, and social media industries. As the son of an active duty serviceman, Ningen is also an ardent supporter of the Wounded Warrior Project and other veteran empowerment charities. A 2014 graduate of Salisbury University, Jay holds a Bachelor of Arts degree in Journalism/Public Relations and Spanish. He is also an Adjunct/Assistant Coach for the men’s ice hockey team at SU. 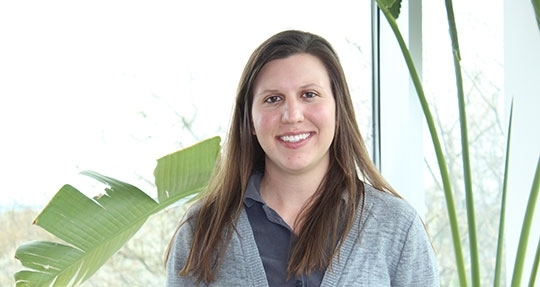 Kaitlin began as a Home Performance Energy Auditor at greeNEWit in 2015. She is committed to helping homeowners find ways to save money, improve their comfort, and take action against any health and safety concerns. She enjoys the challenge of diagnosing each unique house and solving each customer's concerns. Kaitlin is certified as a Building Analyst by the Building Performance Institute's nationally recognized standards. She started this role after graduating from George Washington University (MS in environmental and energy management) and UW-Madison (BS in biological systems engineering). 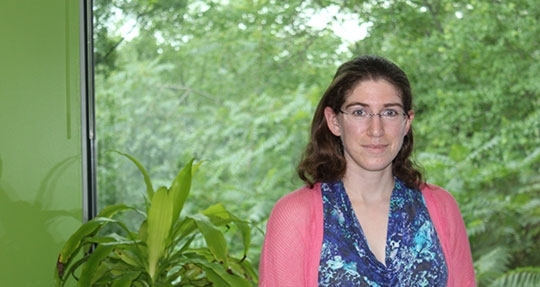 She has experience working as an energy analyst for Longwood Gardens, a large conservatory in Pennsylvania, where she was responsible for gathering the information across their large and diverse campus. A recent addition to the greeNEWit team, Carolyn Grant is a commercial operations manager in training, specializing in lighting retrofits for commercial and multifamily properties. In this role she conducts site visits to assess energy saving potential, creates proposals identifying cost-effective efficiencies for the clients, and oversees the utility rebate application process. 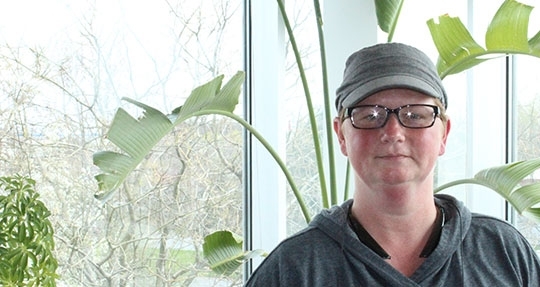 As an environmental science major, Carolyn is energized at being part of a company that fosters environmental consciousness through energy efficiency. Carolyn earned her Bachelor of Science degree from University of MD, Baltimore County, and is certified in Geographic Information Systems. She earned her Associate of Applied Science Degree and technical certification at Anne Arundel Community College. Her passion lies at the intersection of Human-Environment systems, finding ways for people to best coexist with their environment and with each other. In her spare time, Carolyn is a hobbyist beekeeper and gardener. Ricky Burcat joined greeNEWit in 2016 as a Home Performance Energy Auditor. He enjoys meeting customers and addressing their concerns about high energy bills, building comfort, and health and safety issues. He is certified as a Building Analyst by the Building Performance Institute. Ricky earned his bachelor’s degree in Aerospace Engineering from the University of Maryland in 2012. He worked as an engineer at NASA Goddard Space Flight Center before parting ways to pursue personal interests in environmental conservation. 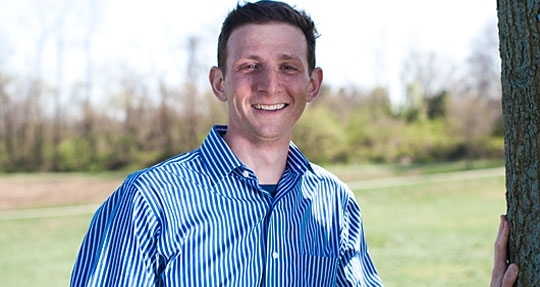 He spent two years serving as an AmeriCorps Volunteer with the Maryland Conservation Corps building trails, preserving native wildlife, and leading park improvement projects with Maryland high school students. Being an Energy Auditor at greeNEWit marries Ricky’s technical background with his personal pursuit of environmental conservation in a way he finds incredibly rewarding. Mark Siebenaler is a Home Performance Energy Auditor for greeNEWit. By working for greeNEWit, Mark hopes to gain a deeper understanding of green technologies and how to make them more appealing to the general public. In the past, he has been able to work or study in seven different countries in the last decade. His focus was on community development and environmental conservation through the implementation of a variety of different green technologies. Living out of a suitcase has grown a bit tiresome for him, so he has decided to lay roots in Columbia, MD despite being born and raised in St. Louis, MO. He hopes the kind citizens will welcome him with open minds and open hearts because he is loving the beautiful state of Maryland. 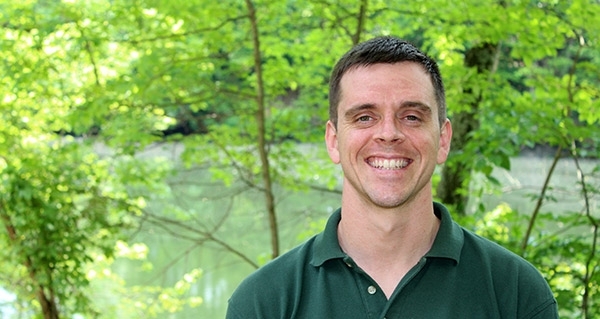 Throughout his professional development, Mark has developed a personal belief that anybody can be sold on the benefits of living a green lifestyle. The benefits need only be framed in a fashion that is appealing to each individual. With greeNEWit, he is confident that he will contribute positively to the development of the green revolution. Nyasha joined greeNEWit in 2016 as a Home Performance Energy Auditor. He is passionate about the environment and enjoys designing solutions that help make clients more energy efficient. He is certified as a Building Analyst and Envelope Professional by the Building Performance Institute. 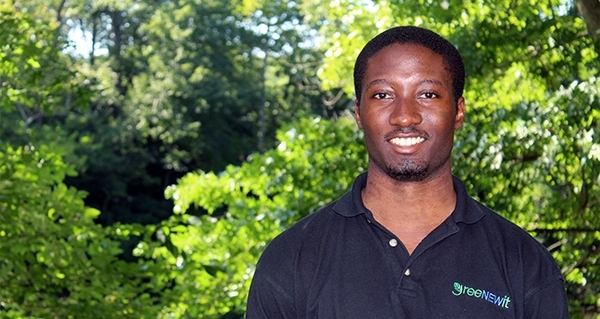 Nyasha earned his bachelor’s degree in Environmental Science and Policy from the University of Maryland. He has experience as an Energy Access intern for World Resources Institute, an environmental think tank in Washington DC, where he was responsible for researching methods for people in East Africa to easily access clean energy. He was the Environmental Science and Policy representative for the Dean’s Student Advisory Council for his college, where he planned and led professional development events for students to better understand various environmental careers they can pursue. At greeNEWit, Nyasha is looking forward to promoting energy efficient buildings, help clients save money and protecting the environment one building at a time. 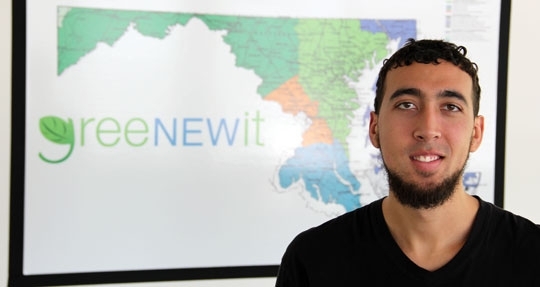 In his role as the co-director and presenter of greeNEWit’s OUR Schools Program, Gabe Bustos develops the strategy and oversees operations of the creative social project that allows elementary students to receive free energy education at public schools in Maryland. Through this initiative, Bustos has been instrumental in discussing the importance of saving the environment and being active agents of change in the community to more than 8,000 students across 18 elementary schools in Baltimore, Howard, Montgomery and Prince George’s County. In addition to his duties at greeNEWit, Bustos is the bassist/producer of Harmonic Blue, an eclectic band focusing on a mix of jazz, folk, blues and RnB. He hopes to eventually tour the U.S. and abroad playing original music. Bustos earned a bachelors degree in applied sciences from the University of Maryland in 2012. 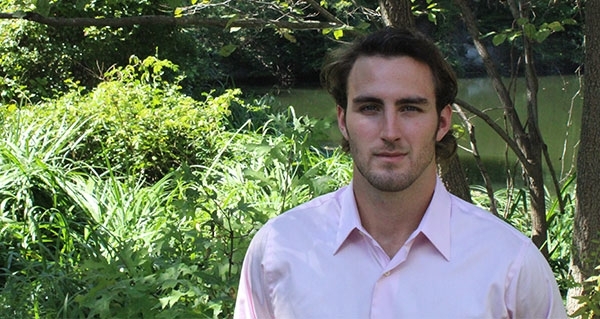 Austin Brown, of Silver Spring, Maryland, has been working with greeNEWit since May of 2012. Austin got his start with greeNEWit as a BPI certified energy retrofit technician where he excelled in the areas of customer service, energy principles and providing DIY energy savings tips. In his current role, Brown is involved with sales and marketing efforts to help our existing and future multifamily clients save money, become more efficient, and take advantage of incentive programs available in Maryland. Brown is currently a student at Howard Community College. Upon completion of his associates degree, he plans to attend the University of Baltimore. He hopes one day to own an international business in the area of real estate or economic development. When he’s not helping homeowners save energy and money, Brown likes to travel to destinations such as Thailand and spend time with his girlfriend. 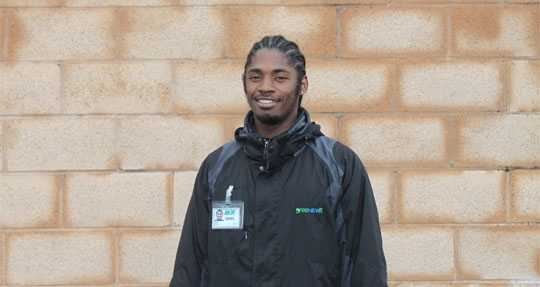 As greeNEWit’s operations assistant, Isaiah Allen assists the company with managing information and analysis. In this role, Allen manages tracks direct installation measures, accompanying payments and inventory and maintenance needs. His duties include matching customer contact information to an external database, assisting with the transfer of data from gREATESST to Vision and troubleshooting and resolving issues with data and various platforms. 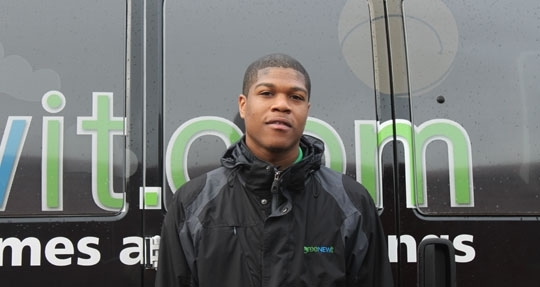 Allen is currently pursuing a degree at Howard County Community College and hopes to eventually finish school and employ people in his own entrepreneurial pursuit. 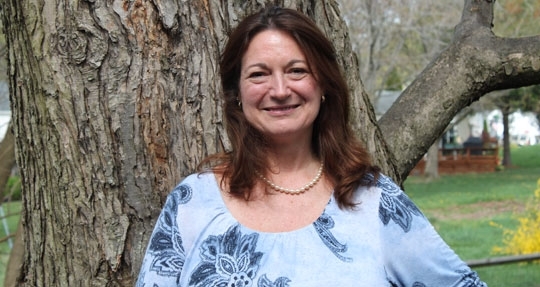 As director of accounting, Trish Slatin provides greeNEWit with consulting, accurate record keeping, timely reports and execution of Symbionics, LLC’s five financial office systems: Tools, Payroll, Disbursements, Revenues and Reconciliations Reporting and compliance. Over the years, she has developed her own strategies and approaches in creating financial systems that work consistently. Slatin recently became a certified QuickBooks ProAdvisor. She earned a bachelor of science degree in business at the University of Maryland. Brian Stundick is the Accounting Manager at greeNEWit. Stundick joined the greeNEWit team in March 2014. He administers Accounts Receivable and Accounts Payable for the company and works closely with the executive management team to develop and implement efficient accounting controls, procedures and reporting. Stundick graduated from Loyola University in Maryland with a BA in Political Science and History. He received his Master’s degree in Environmental Science and Policy from Johns Hopkin University and holds a Certificate in Accounting from CCBC. Stundick came to greeNEWit with experience in the real estate, insurance, mortgage banking, and bookkeeping/accounting industries. He worked for Metropolitan Title Company as a Settlement Officer, and for Pro-First Mortgage Company as a Loan Officer for six years. He then joined Travelers Property Casualty Company as an Associate Account Executive managing and budgeting environmental and product liability claims, including asbestos litigation. Following four years at Travelers, Brian joined and continues to be involved with his family real estate business, where his duties include serving as General Manager of Fort Smallwood Mini Storage. Stundick has also worked for Symbionics, led by Trish slatin, who introduced Brian to the greeNEWit team. Brian is a proud dad of two energetic little boys and enjoys doing anything with his two sons. He also enjoys history and the outdoors - hiking, biking, landscaping, and spending time on the water. Over the past three years of greeNEWit growth, Andrea's role as our administrative manager has widened to keep a pulse on everything greeNEWit. Her background in customer care within the medical industry has been extremely valuable as she has turned her efforts with greeNEWit to improving building performance and the health of each buildings occupants. Andrea is known to be a compassionate listener, quick problem solver, and great accountability partner when it comes to both personal and business goal achievement. With free time, Andrea enjoys practicing yoga, hiking with her family and exploring new positive opportunities. greeNEWit is proud to be recognized by some of the most important and influential publications and organizations around the world. For many corporations, involving the community is important. At greeNEWit, this responsibility is seen in all we do, both as a company and as individuals.